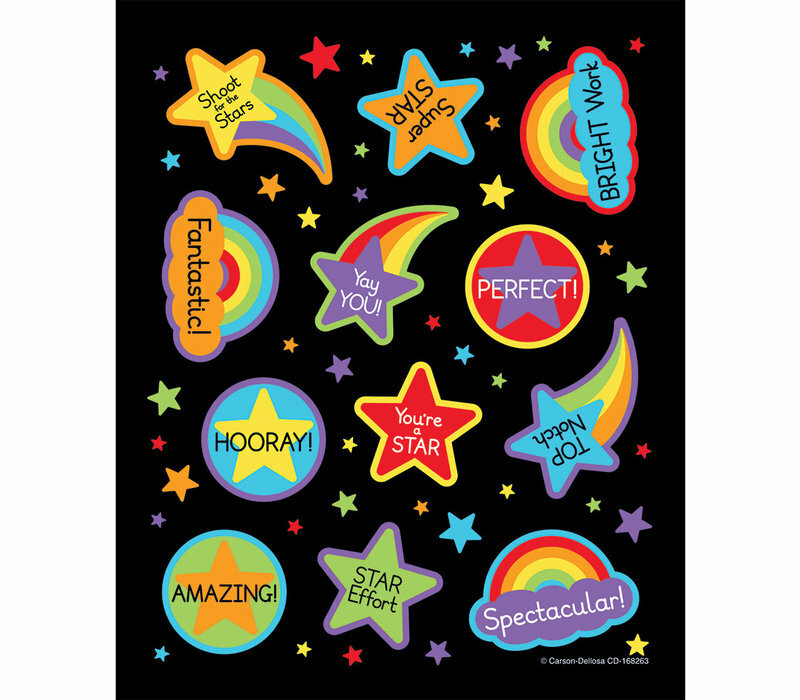 Be Bright Motivators Motivational Stickers - Learning Tree Educational Store Inc.
Be Bright motivational stickers help teachers promote their students’ hard work with words of encouragement. This pack contains 6 sheets of 12 die-cut stickers for a total of 72 stickers. 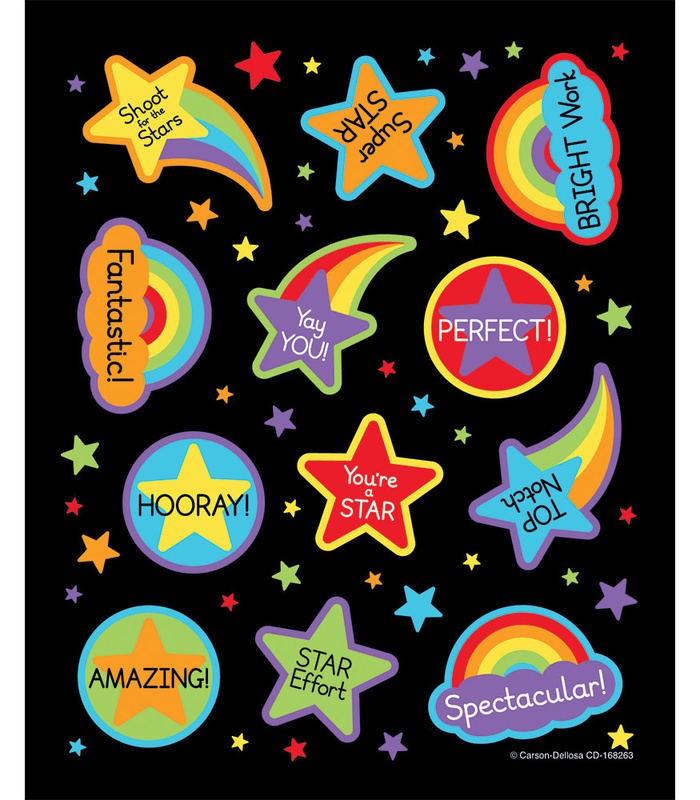 Add motivational stickers to completed assignments to reward a job well done! All stickers are acid-free and lignin-free—safe for photo projects or scrapbooking. Make sure to view Carson-Dellosa’s other products to create a cohesive classroom theme.